Taxi Nice Airport on strike to protest against car with driver firms ! That can happen only in France ! Yesterday car with driver firms that are totally legal can’t go to their private parking in Nice Airport ! No taxi available for the day at Nice Airport! Two taxi cars obstructed the parking entrance of Private Nice Airport Transfer firms of Nice Airport Terminal 1 ! The police didn’t do anything to re-open the access ! 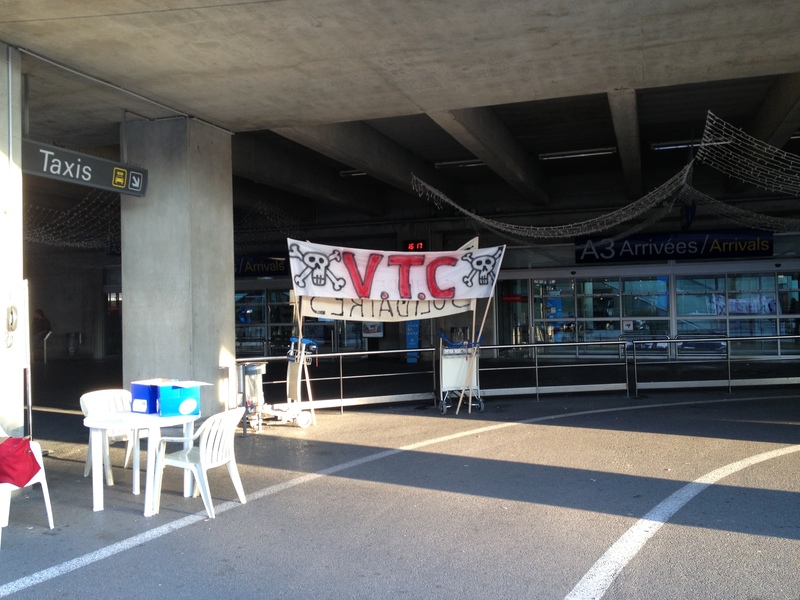 As shown on the photo a message of hate against Car with driver Nice Airport firms looks like a dead threat!